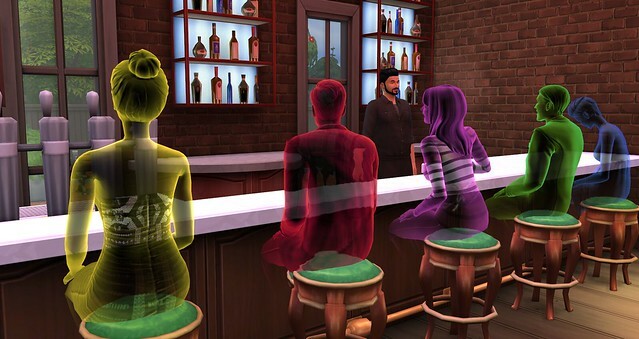 Ghosts are the supernatural life state of The Sims 4 Base Game. This guide covers everything you need to know about Death, The Grim Reaper, Ghosts, Interactions, and Resurrection. 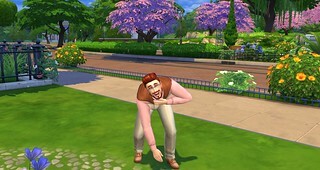 The Sims 4 includes 11 different death types: Drowning, Electrocution, Hunger, Fire, Rocket Ship Crash Landing, Old Age, Overexertion, Cowplant, Embarrassment, Anger, and Hysteria. Modern Grim Reaper included. Death types are categorized as “Natural” or “Emotional”. Drowning, Fire, Electrocution, Hunger, Old Age, Overexertion and Cowplant are filed under Natural Deaths, while Embarrassment, Anger, and Hysteria are filed under Emotional. ❗ There are no cemeteries/graveyards in The Sims 4. ❗ Death in The Sims 4 is more rare and much harder to achieve than ever before. Emotions have different intensity levels. 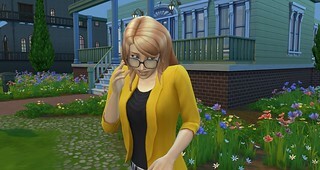 Once a Sim reaches the highest level of a specific emotion, they will eventually be greeted with death. There’s only so much Embarrassment, Anger and Hysteria Sims can handle. 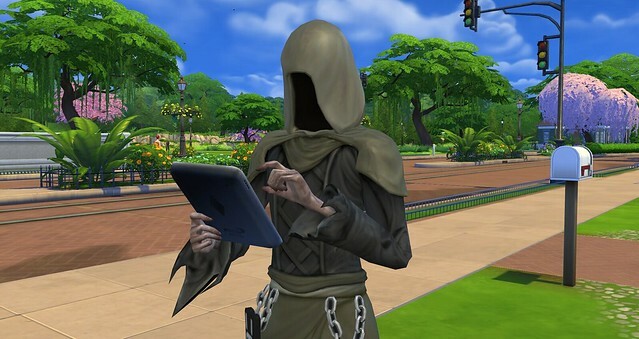 No matter which way your Sims dies, the Grim Reaper will be sure to come by and scoop up their soul. 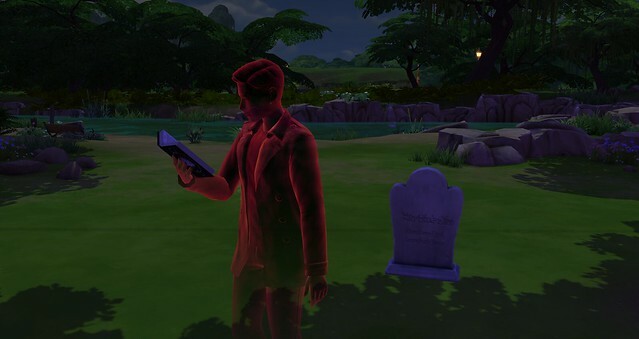 You will have the option to “Plead” for the dying Sim when the Grim Reaper appears, but if unsuccessful, he will leave you with the Sim’s Tombstone/Urn. You always have the option to resurrect a Sim as well. If you do not attend to your swimming Sim’s decaying needs, they will slowly become uncomfortable and fatigued. If left neglected, a Sim will become “Exhausted”, which only leaves you with a few short hours to tend to their needs. If you don’t tend to their needs, Sims will drown in the pool and die. 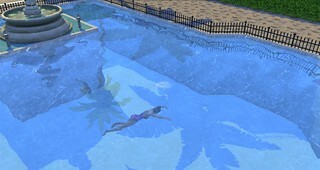 NOTE: Due to the fact that Sims are self-sufficient survivalists, the only easy way to ensure they drown in the pool, is to enclose the pool with a wall or fence. This prevents a Sim from exiting the pool. 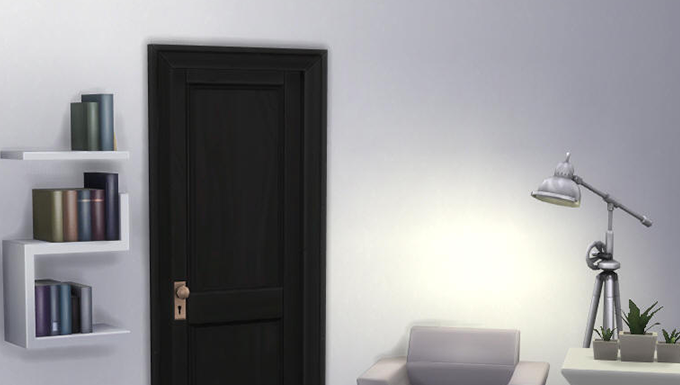 Fire and flames can move through the walls in The Sims 4, so do your best to extinguish nearby flames immediately. 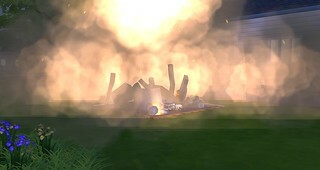 Sims who are not able to get away in time will burn to their death. “Racing” in space (Adventure Text) with a low level Rocket Science Skill, or exploring space after using the “Stuff a Fruit in exhaust pipe” action (Mischief Skill), are guaranteed ways to crash land the rocket ship. 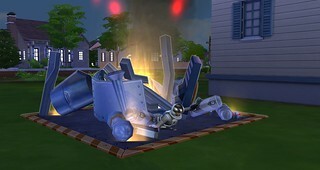 Sims who crash in the rocket ship may catch fire from the surrounding flames and die. Sims who repair electronics with a low level Handiness skill risk being shocked. Sims who are shocked during repair will receive the “Singed” moodlet for a few hours. If you attempt to repair broken items before your Sim has overcome the first shock, the Sim will be electrocuted and die. As mentioned above, it is much harder to force death in The Sims 4. 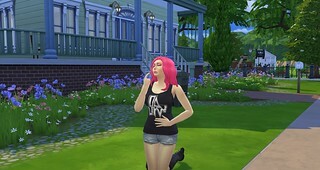 Sims have a natural instinct to survive, even when you turn their free will off. There are two different 24-hour moodlets your Sims will have to overcome before completely dying of starvation: Hungry and Ravenous. Once your Sim has had the Ravenous moodlet for 24 hours without eating, they will die. 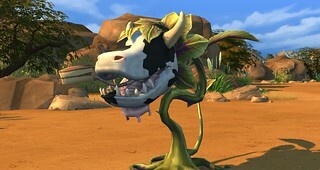 The Cowplant must be fed at least once every 12 hours, and if left unfed, the Cowplant will attempt to lure Sims its way by teasing them with cake. Once the Cowplant sticks out his cake tongue, Sims can either Eat the Cake, or feed the Cowplant. 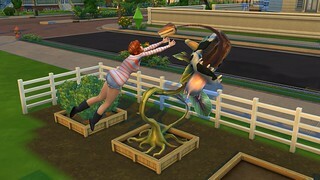 It is my finding that the Cowplant will “kill” a Sim every other time they “eat cake”. So while you might get lucky the first time, they second is probably going to kill you. Sims who die will be take away by the Grim Reaper, and a tombstone will be left behind. Unless you have aging turned off, or they constantly drink the “Potion of Youth”, Elder Sims will eventually pass away. There isn’t much you can to do prevent their life cycle from expiring. 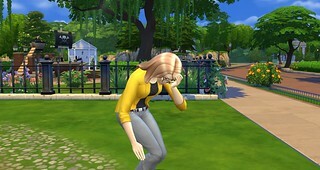 Elder Sims do not have the stamina they had as Adults, which easily exhausts them when exercising or Woohoo-ing. 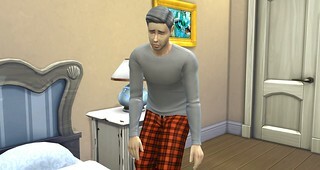 Elder Sims who reach their limit will receive the “Dangerously Tired” moodlet for 4 hours. Avoid any strenuous activities during this time or they’ll die of overexertion. The angry emotion has four different intensity levels: Angry, Very Angry, Furious, and Enraged. 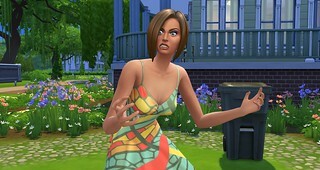 Sims who reach the Enraged emotional state will only have a short period of time to cool off. Emotions give Sims special interactions, and using them will help lower the intensity level. 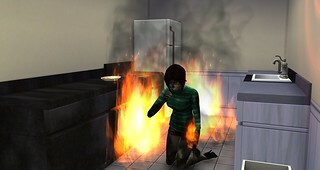 Sims who are left in the Enraged Emotional State for a long period of time will die. The Hysteria emotion has four different intensity levels: Playful, Very Playful, Silly, and Hysterical. Sims who reach the Hysterical emotional state will only have a short period of time to rid this feeling. Emotions give Sims special interactions, and using them will help lower the intensity level. Sims who are left in the Hysterical Emotional State for a long period of time will die. The Hysteria emotion has four different intensity levels: Embarrassed, Very Embarrassed, Humiliated and Mortified. Sims who reach the Mortified emotional state will only have a short period of time to calm down. Emotions give Sims special interactions, and using them will help lower the intensity level. Sims who are left in the Mortified Emotional State for a long period of time will die. 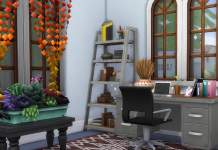 Death flowers are the only guaranteed way to save a dying Sim. Once a Sim has moved on to the afterlife, you can choose to keep their Tombstone/Urn on your lot, or release their spirit to the Netherworld. Keep the tombstones/urns on your lot if you want to play with ghosts, as released spirits are gone forever. ❗ If you have created an “Epic Saga” for the target Sim via the Book of Life, you can summon the ghost immediately after death. No need to wait! • Play as a ghost! Seems simple, but keep in mind that it is challenging to raise Friendship and Romance relationships in the game. If you are having difficulties leveling up your ghostly relationship, feel free to use the relationship cheats to raise your relationship faster, or Shift + Click and “Add” the ghost to your family immediately. ❗ Ghosts do not age. The only way to age the Sim is to resurrect the ghost. The color of a ghost depends on their mood. If they are Sad, they will be blue. If they are Happy, they will be Green. If they are Flirty or Playful, they will be pink. You get the point. 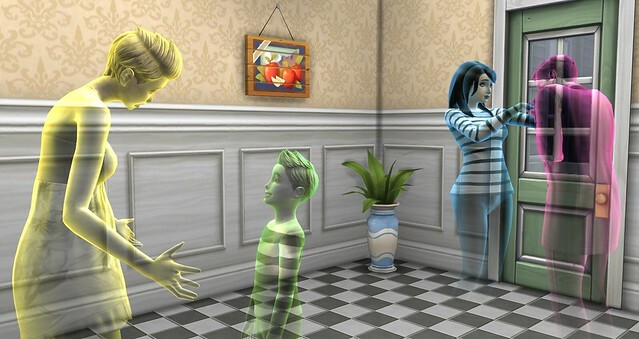 Not only does the color of a ghost make for a colorful household, the emotions themselves also give Sims special interactions. • Break Electronics – Sims that died by electrocution, when angry, have the “Possess to Break” interaction to break electronic devices. They also have the “Trick with Hand Buzzer” interaction by default. 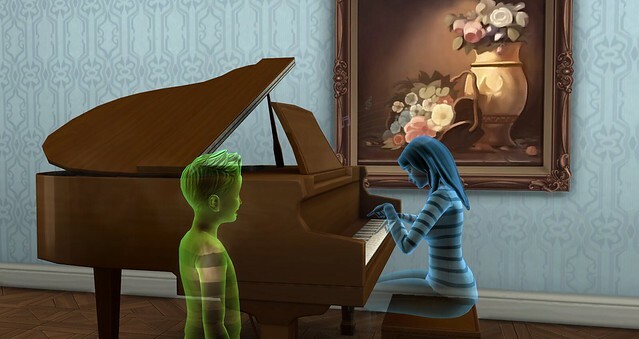 Once you have successfully added a playable ghost to your household, their cause of death can be viewed in their Simology Panel. Every Sim that dies is given a unique “Death Trait” explaining how the Sim died. Death by Drowning This Sim drowned in a body of water and now has a fear of all water. Death By Laughter This Sim died from a fit of the giggles that continues to pop up now and then. Death By Cow Plant This Sim was eaten by a Cow Plant, and still feels a bit oddly towards plants. Death by Fire This Sim died in a fire, and flames haunt them still. Death by Old Age This Sim died when their time was up. Death by Overexertion Apparently it is possible to overdo it. This Sim did it to death. Death by Anger This Sim died of apoplexy, and their rage is still with them. Death by Electrocution This Sim was shocked when they suffered a fatal electrocution. Death by Hunger This Sims starved to death, and hunger pangs have followed them into the afterlife. Death by Embarrassment This Sim was mortified, and died of embarrassment. Literally. Just because your Sim is dead doesn’t mean they are gone forever. 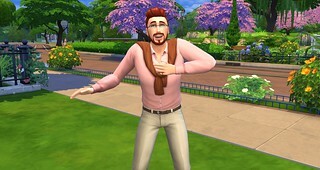 Sims who advance in the Writing, Cooking, and Gardening Skills are able to resurrect a deceased Sim. 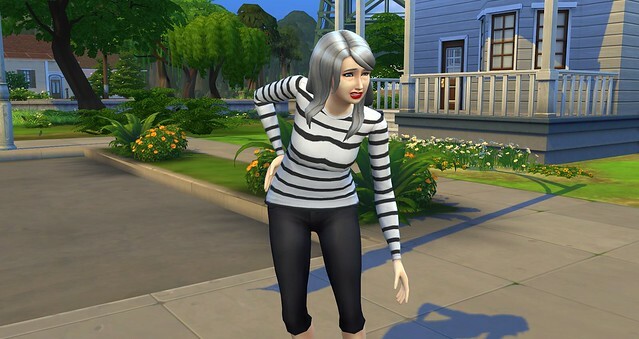 There’s two ways to resurrect a Sim in The Sims 4. The Book of Life’s functionality has been updated since the October 1st patch that added ghosts. 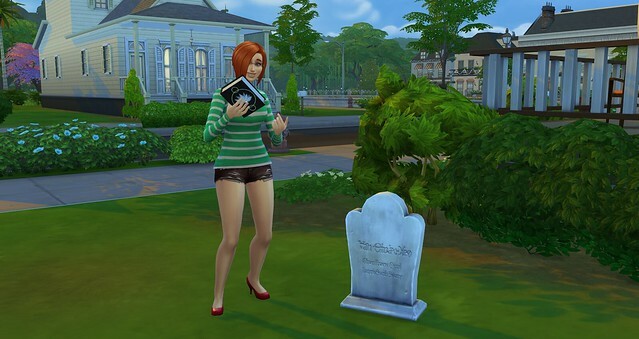 Rather than resurrecting a Sim, the book will only summon the ghost from their grave. Once summoned you will have to invite them into your household, and have the ghost “Restore” their own life from the book. SimGuruDaniel confirms this change is part of the challenge. This process can be performed on multiple Sims, with multiple books. There is no limit on how many “The Book of Life” books you can write, nor how many different Sims you can bring to life. If writing is not your forte, try learning to Cook. Ambrosia is a rare single serving food dish that can bring a ghost back to life or reset the age of a living Sim. 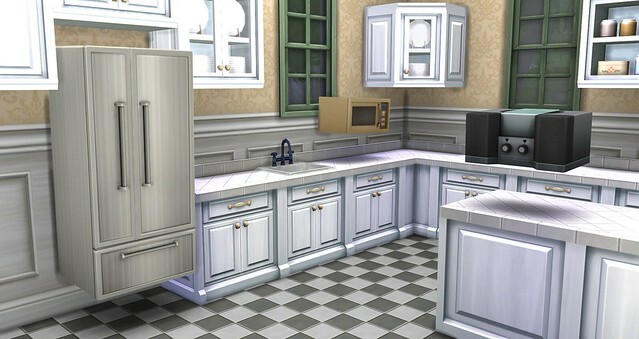 The dish can be worth upwards of 2500 Simoleons, and lasts 10 hours outside the fridge without spoiling. Pomegranates are acquired by splicing Apple & Cherry Trees, or fishing in Sylvan Glades.